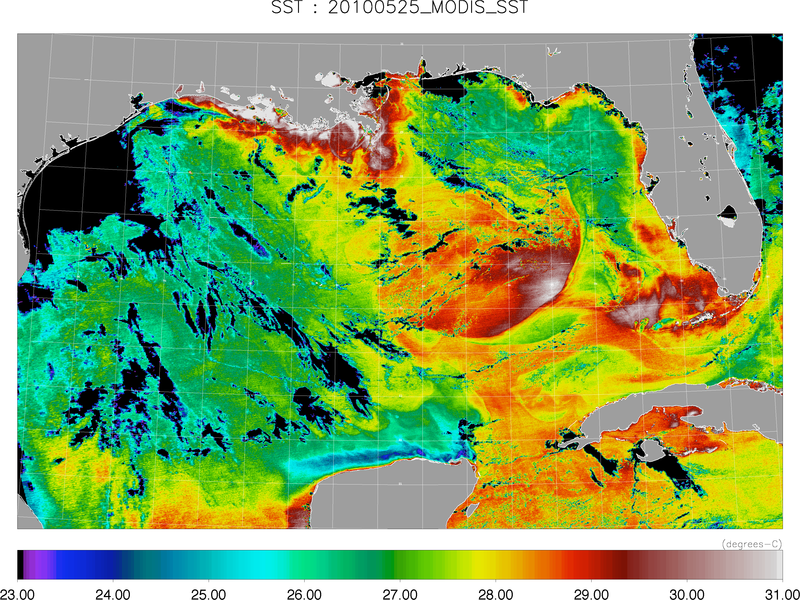 These maps of the satellite-measured temperature of the ocean surface aid scientists, decision makers, and emergency response personnel in identifying and tracking ocean circulation features. 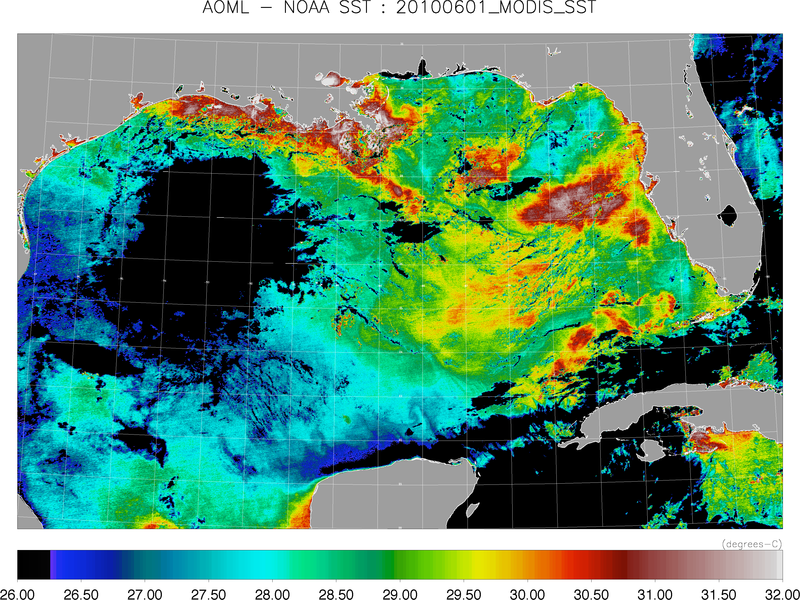 The map below shows the latest sea surface temperature in the Gulf of Mexico using Advanced Very High Resolution Radiometer (AVHRR) data from CoastWatch Caribbean Regional Node. 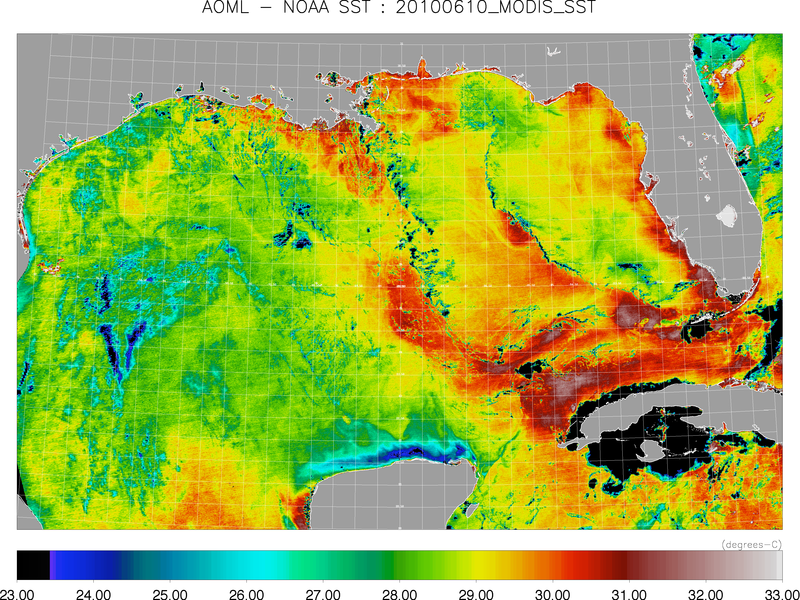 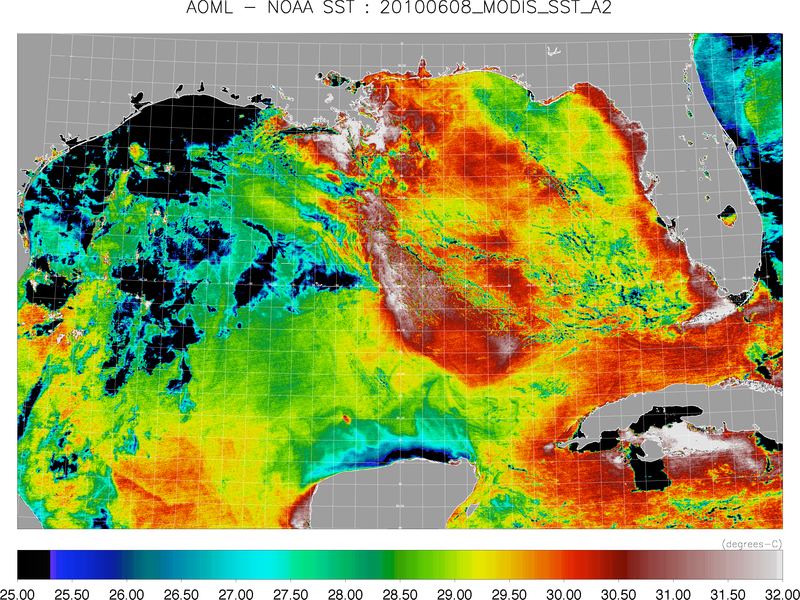 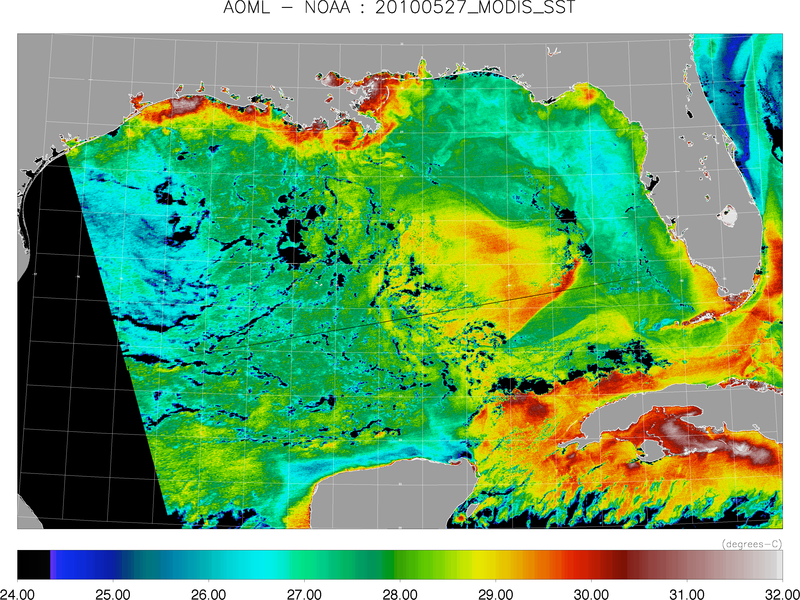 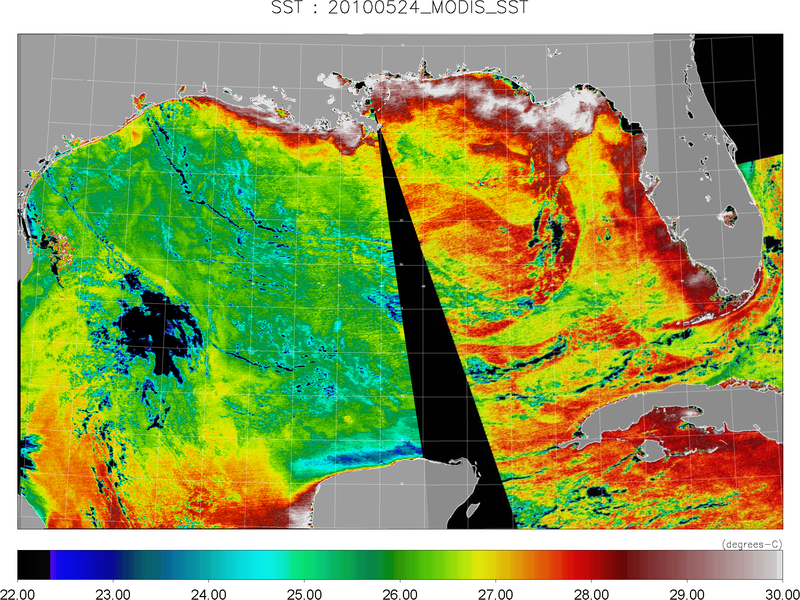 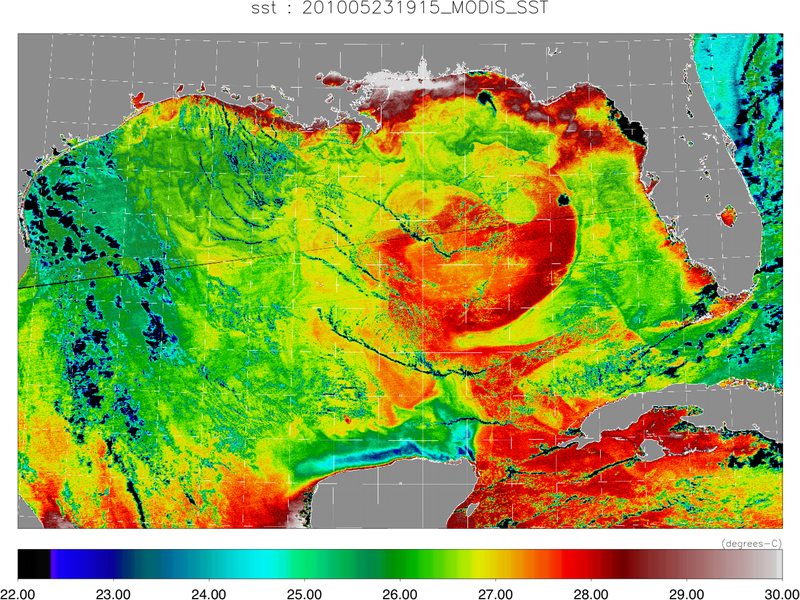 The map below shows the sea surface temperature in the Gulf of Mexico using data from the Moderate Resolution Imaging Spectroradiometer (MODIS).